Europe's largest consumer electronics trade show, IFA, begins next week in Berlin. The biggest manufacturers will be there to present their latest and greatest. Of course, we'll be there to cover it all for you. Here's what you can expect. 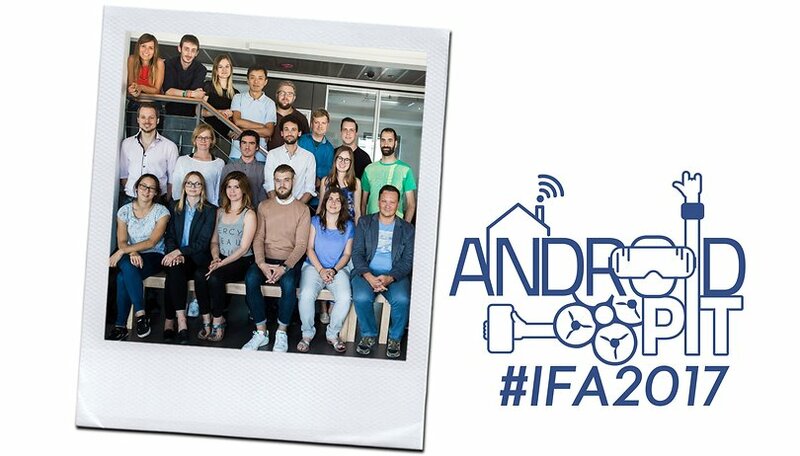 IFA happens from September 1-6, and like every year, we expect the highlights to be bigger and better than ever. Samsung will show off its recently revealed Galaxy Note 8 and a new smartwatch, while LG will be presenting its LG V30. Traditionally, smartphones play a very large role at AndroidPIT and, of course, we will be talking about these devices. Needless to say, the highlight will be the debut of the LG V30. Samsung has already unveiled its latest blockbuster smartphone, the Galaxy Note 8, before IFA - though it will also be at their booth. Other manufacturers will also debut new smartphones, namely Motorola and Sony. We are excited to see what all the big manufacturers came up with this time. Other topics are, of course, very important to us. At MWC 2017, we began providing increased coverage of three additional tech topics which we'll take a closer look at at IFA: smart home, wearables and AR/VR. Samsung will be presenting a new smartwatch, the Gear S4, and a new wearable, the Gear Fit Pro 2. If you want to stay up to date on the latest news coming from IFA, check out the following article, which we will update regularly throughout the event with all our coverage. What are you looking forward to most from IFA 2017?